An internship is an amazing opportunity to gain on-the-job skills and experience while you’re still in college, and may even allow you to transition into a full-time job upon graduation. But with the array of internship opportunities available – some paid and some unpaid – how do you choose the perfect opportunity for you? The College of Business Career Development Center can help you find the perfect-fit internship. Along with that guidance, here are the top seven things you should look for in an internship. The primary goal of pursuing an internship is to gain knowledge and experience that will position you for a successful career. 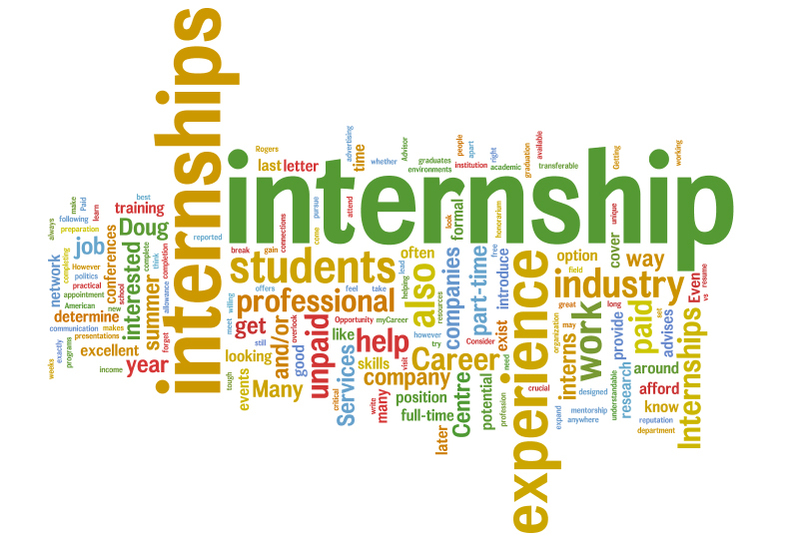 Employers generally place the most value on internships that offer relevant work experience. For example, if you’re pursuing a degree in Internet marketing, an internship that gives you experience working on email marketing campaigns could potentially give you an edge over other applicants in your field. Likewise, an internship at a company that is well known for the career you are pursuing can have a positive impact on your resume and future career opportunities. Use your interview as an opportunity to gather information about the specific job duties you’ll be performing during your internship. If any of these duties seem out-of-sync with your career goals, you’ll want to carefully evaluate if it’s the right internship for you. Ask yourself if the internship you’re looking at will position you well for the career you want. Would you like to work in an environment that’s full of energy and fast paced, or would you prefer a more predictable, conservative work atmosphere? Regardless of what type of atmosphere you prefer, your workplace environment should be comfortable and conducive to learning. You can size up the work environment of a potential internship in a variety of ways. First, check out the company’s website (if there is one). How the company presents itself on the Web could give you clues to the work environment. For example, if the tone of the website is very professional and corporate in nature, you can probably expect the same of the office atmosphere. Also, check for the company’s presence on social networking sites like LinkedIn™, Facebook®, YouTube® and Twitter® to gain a better feel for the nature of the work environment. The interview is another great time to gather information about the company’s workplace environment and evaluate whether the company’s work environment is right for you. Don’t hesitate to ask questions at this time or meet with a current intern or employee to gather more information. Internships and employers should provide supervision, mentoring, and practical experience. The U.S. Labor Department requires that unpaid internships resemble vocational education and that the work of unpaid interns cannot be a substitute for regular employees. Before accepting an internship, ask for a clearly written list of your duties and responsibilities. Consider project-oriented internships with an agreed start and end date, which leaves fewer chances for you to be exploited and greater chances of gaining practical experience. An internship that’s closely related to your degree program will allow you to practice all of the concepts you’ve been studying in college. But don’t be afraid to accept a position that may provide you with a whole other unrelated, yet valuable set of skills and experiences that you might not have been able to access any other way. This broad real world experience, coupled with your college degree, will translate into valuable knowledge and on-the-job skills that employers are looking for. Your college instructors can help you determine if an internship is relevant to your degree. You should also ask specific questions during your interview to ascertain if the internship will offer you skills that apply to your degree. Gaining a wide range of experiences during your internship is a great way to position yourself for career success. Not only will this prepare you to handle the many facets of your career, employers also take notice of candidates who’ve performed an array of career-related tasks during an internship. Ideally, an internship should expose you to a variety of departments and responsibilities that relate to your career path. For example, if you’re pursuing a paralegal career, your internship should offer you opportunities to perform research, conduct client interviews and prepare legal documents, as well as other paralegal duties. The more you are able to see and experience, the more answers you will have to questions regarding where you want to work, who you want to work with, and what exactly you want to do. When you’re interviewing, don’t hesitate to ask about the specific responsibilities you can expect to perform during your internship. An internship has the potential to turn into a full-time career opportunity after graduation. To assess whether there will be career opportunities following your internship, take a look at the careers page of the company’s website to see if there are any open positions. When interviewing for the position, ask if there is an option to transition into a permanent position following your internship or if a full-time position will be available in the near future.